Yazd Historical City: the central city of Iran, registered on UNESCO, and considered the Zoroastrian capital in Iran. Sultan Ahmed Mosque: One of the famous historical mosques in Istanbul, Turkey, also known as the Blue Mosque. Suleymanieh Mosque: This is an Ottoman imperial mosque located on the Third Hill of Istanbul, Turkey. Fenar and Balat: Fenar and Balat are the colorful neighborhoods of Jewish and Armenian in Turkey. 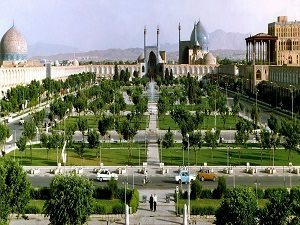 The Asia Tour offered by Iran Destination, Iran Travel Agent, is the best choice to see two famous and touristic countries in one cheap trip. The best places in Iran and Turkey, of which all travelers take a visit for sure, are included in this tour. So during 14 days, you have the opportunity to visit the famous highlights of Iran and Turkey, some of which date back to the same era, as they were all in one country before deep in history. If you are looking for a time travel to ancient Persia, take this Asia Tour. Arr. Van station at 07.30 a.m. quick transfer to the airport for Turkish Airlines flight at 10.45 a.m. to Istanbul, arr at 12.15 p.m meet and greetings with local English speaking guide , having rest with coffee and lunch packages and sandwiches , depart to Bursa which is the historical city as Ottoman Impire’s first capital with plenty of religious places ,mosques , old villages , mountain of Uludag and seaside. We first visit one of the oldest village of Cumalikızık to see its historical houses narrow stone streets. Breakfast at the hotel , then we will visit famous mosque of Murat and his tomb. And we’ll depart to Canakkale one of the most important cities in Turkey with its famous battle glories against the power of units on 1915 , and we will pass the Dardanelles ( sea cross pass ) to make the tour around Gelibolu / Dardanelles and around. lunch break ( seafood or any menu you like ) then back to Canakkale for a short city walking tour and historical Troy visit to lodge to the Hotel …Dinner and overnight. Follow our Asia Tour Package. after Breakfast , we’l depart to Istanbul passing the sea cross with ferry and keep on drive within noon and then we will arrive Istanbul. lunch break and start the tour of Historical peninsula with Bluemosque , St Sophia , Hypodrome , St. Irına , Mosque of Suleymaniye , Grand Bazaar Eyup Sultan Turbe ….transfer to the hotel , dinner at a local restaurant.